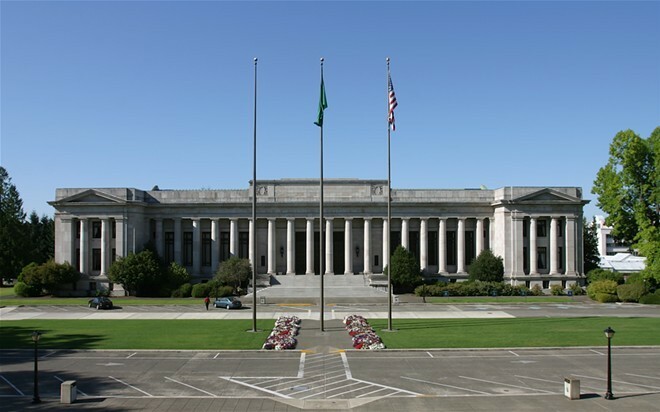 A week after striking down the death penalty, the Washington State Supreme Court ruled today that sentencing youth to live in prison without parole is unconstitutional. The justices ruled 5-4 that trial courts cannot sentence juveniles to a minimum life term, arguing that doing so would be "cruel punishment." The ruling addresses the case of Brian Bassett, who was convicted of killing his parents and drowning his brother in a bathtub in the 1990s. Bassett was 16 at the time. The judge called Bassett "a walking advertisement" for the death penalty when sentencing him to three terms of life in prison without the possibility of parole. Bassett, seeking a less severe sentence, had a pediatric psychologist testify on his childhood. The psychologist said he had suffered from an adjustment disorder and struggled to cope effectively with the stressors of homelessness and his strained relationship with his parents. The psychologist said the 16-year-old could not comprehend his actions, noting that Bassett's first thoughts when he went to jail on suspicion of murdering his parents were about how much trouble he would be in from his parents. Now 39, Bassett hasn't had any prison violations for 15 years. He got married in 2010 and earned his GED. Still, the judge rejected the evidence and sentenced him to three consecutive life sentences without parole. Bassett appealed, and the case reached the state Supreme Court. In their ruling today, justices noted that 20 states and the District of Columbia have abolished life without parole for juveniles. "Bassett is correct that the direction of change in this country is unmistakably and steadily moving toward abandoning the practice of putting juvenile child offenders in prison for their entire lives," the ruling states. Sentencing children to life in prison with no parole, the ruling states, does not achieve the goals of retribution or deterrence, since children are not as criminally culpable. "We find that states are rapidly abandoning juvenile life-without-parole sentences, children are less criminally culpable than adults, and the characteristics of youth do not support the penological goals of a life without parole sentence," the court says.